You wonder about legal questions related to starting a business? Click here to take part to our webinars and we will help you answer them! Almeria Summer Academy is aimed at those with an entrepreneurial interest in simulations, virtual and augmented reality, and will put emphasis on teamwork, hands-on learning activities, interactive workshops and industry visits, where participants will have the opportunity to be in touch with international ICT professionals and specialists in the field of Simulations, Virtual and Augmented Reality. Explore! This is an academy for those with an entrepreneurial interest in Social Entrepreneurship and focuses on identifying innovative solutions that will enhance social value creation and scalability of social enterprises. In our Academy we will put emphasis on team working, knowledge sharing, interactive trainings and workshops using tutorial and hands-on learning activities, study visits and trips, discussions with experts in the field of social entrepreneurship, IT start-ups. Explore! 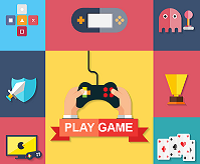 This is an academy for those with an entrepreneurial interest in Video Game Development and focuses on identifying innovative solutions that will enhance the probability of successful market entry with a new video game or game type. In our Academy we will put emphasis on team working, knowledge sharing, interactive trainings and workshops using tutorial and hands-on learning activities, study visits and trips, discussions with experts in the field of video games, entrepreneurship and start-ups. Explore! Digital Transportation applications aim to provide innovative services relating to different modes of transport and traffic management and enable various users to be better informed and make safer, more coordinated, and 'smarter' use of transport networks.The Thessaloniki academy will assist future entrepreneurs to design prototypes from their ideas, develop innovative business models and prepare pitches. Explore! 3D printing, modular electronics and other new technologies make it easier to create customizable and innovative products for the end customers using ICT as a basis. Using this opportunity, the Bavarian Summer Academy will train future entrepreneurs in developing their own innovative Internet of Things based products, services and associated business models. The applications of digital healthcare include both hardware, software, smart devices and analytical techniques to support healthcare professionals and patients to manage illnesses and promote health. The Sheffield Summer Academy in Digital Healthcare will identify entrepreneurial solutions to healthcare challenges and support participants in pursuing their own entrepreneurial ideas. The Trento Summer Academy will identify innovative solutions in Cyber Security and guide participants with validation, development and presentation of their innovative ideas. It will be a highly interactive programme with a series of hands-on activities and practical workshops, where the participants will have the opportunity to be in touch with international Security and Privacy professionals. Explore! There are two editions of the accelaration bootcamp, one in took place in Fall 2015 and another will follow in Fall 2016. The best teams from each of the consecutive STRATIFY7 summer academies rounds will attend a 3-day acceleration bootcamp in Brussels, Belgium. The selected participants will follow an intensive programme that will enable them to improve their business models and sharpen their business plans in order to become VC-ready. Learn more about 2016's bootcamp! STARTIFY7 is a two-year European project intended to train entrepreneurial students to shape their own startups, and provide them with expert support to lead their ideas to concrete achievements. The project has witnessed the application of more than 1400 students, and 280 among them were successfully selected to participate in the seven thematic academies, within environments tailored to push them beyond their limits and own expectations. They had the chance to meet like-minded people and form teams, learn about bsuiness development and especially practice entrepreneurship by crossing the frontier, meeting the first customers and building their first working prototypes. and strong synergies with existing entrepreneurship initiatives. Discover below the STARTIFY7 2015 Security & Privacy academy experience and subscribe to our Youtube channel! You can also watch here the video of the Digital Health academy.